14500 DTEX, nothing can compare to its durability. 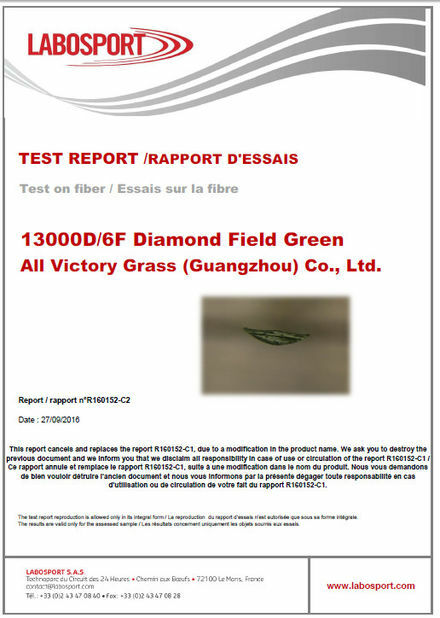 Excellent performance with 20,000 weeks of abrasion resistant test. Smooth and very gentle, with extraordinary straight standing performance. Trim grass to fit area . Trimming edge of grass prior to applying the glue . Jointing tape in place . Apply glue to tape . offer grass edges togrther . 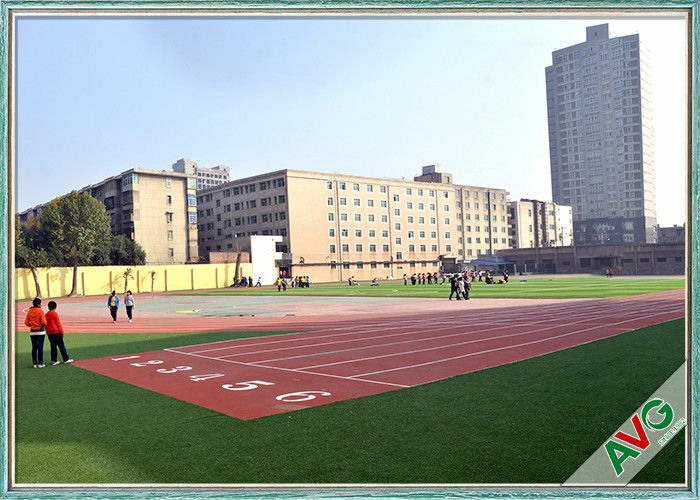 Our AV GRASS is in strict accordance with ISO9000 and ISO14000 quality standards. 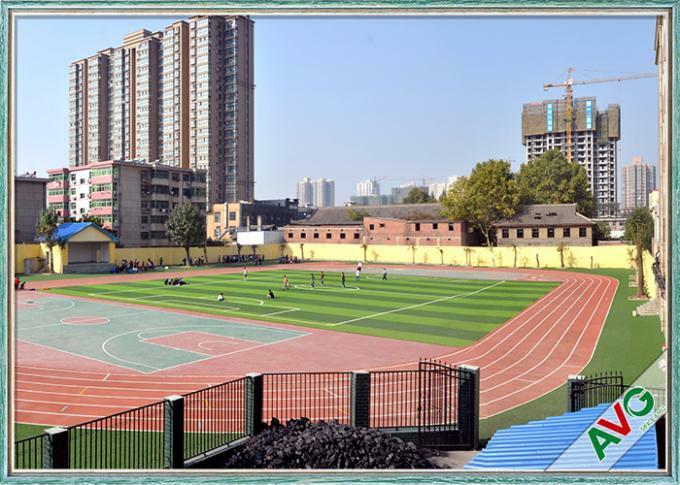 Produced by COBBLE equipment from England , our products include A3 & A6 series sport grass and leisure grass of the E6 E - garden series and A1 decoration series . 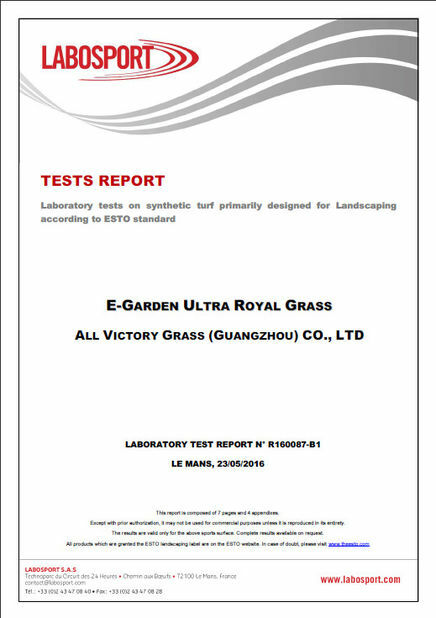 Our sports grass has passed the strictest of tests performed by France LABO SPORT . All indicators have reached the highest FIFA Award criteria . Our products have also won the highest - class product standards through the National Sporting Goods Quality testing laboratory . Additionally , our artificial grass is verified to be free of any heavy metals by SGS .